A Parenting Plan constitutes a court order on one of the following legal matters a petition to establish parentage of a child; a petition for divorce or dissolving a marriage; a petition for legal separation; a request for a Parenting Plan at any time during the relationship; a modification or change in child custody; or a petition for child custody by a non-parent. Each Parenting Plan will specify the parent with whom the child will live or the amount of time the child will spend with each parent. It will give one parent the right to make major decisions about the child. It will also include a plan for the parents to work out any major disagreements regarding the Plan or their child's welfare. A participant in any of the above court matters can file a proposed Parenting Plan even if the court hasn't ordered one. The Plan can be filed with any other court papers—a petition, motion or response. It will be served on all other parties in the case as are all case papers. If both parents can agree on a Parenting Plan, it will usually be approved by the court. The court only establishes its own Parenting Plan when the parents can't come to an agreement. Its decision will be made after the hearing or trial has taken place. Among the things considered by the court are what is best for the child and with older children, which parent they would prefer to live with. It is rare for the courts to give joint custody: allowing 50/50 custody to each parent. It is deemed better for the child to live with one parent the majority of the time; since this provides a more stable environment. Complying with the adjudicated Parenting Plan is very important. If the parent given custody refuses the other parent access to the child, even in the event that child support has not been paid, that parent may be found in contempt of court. The court can then set up additional visitation times. It can also impose fines, jail time or another type of punishment. 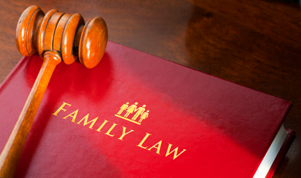 If the custodial parent is found in contempt of the court order more than once over a three-year period, the court can award custody to the other parent. The child has lived with the non-custodial parent for a long time with the custodial parent's permission. The custodial parent has been held in contempt of court at least two times in a three-year period or has been convicted of disrupting the non-custodial parent's set visitation times. Living with the custodial parent is demonstrated to be emotionally or physically harmful for the child. Minor changes to the Parenting Plan can be made more easily by the court: adjusting the amount of time or which days the child spends with the non-custodial parent. The court does need a reason why this change is in the child's best interests. A non-custodial parent can get a form and instructions to request changes without hiring a lawyer. This information is available on www.washingtonlawhelp.org and at http://www.courts.wa.gov/forms/. Facilitators at the courthouse will help parents or other relatives locate and file the correct forms in divorce and child custody matters. If your town doesn't have a courthouse and internet access is unavailable, the Superior Court Clerk can provide these forms. Phone assistance is also available by calling 1-888-201-1014. Parenting Plans entered into on June 8, 2000, and thereafter must provide arrangements in the event that one parent wants to relocate to another city or state with the child. The custodial parent planning to move is required to give the other parent written notice well in advance of the move. Understanding Washington State's relocation laws and following their requirements is necessary before making the move. An order has already been filed in another state. It is important to speak with a lawyer during this part of the process, since filing for moving with the child is difficult to understand for individuals not well versed in the law.